This edition includes Books I, II and III. 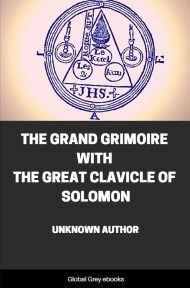 This remarkable grimoire was translated by S.L.M. Mathers from a 15th century French manuscript. This text has had a huge influence on modern ceremonial magic, and has been cited as a primary influence on Aleister Crowley. Abraham of Würzburg, a cabalist and scholar of magic, describes a quest for the secret teachings which culminated in Egypt, where he encountered the magician Abramelin, who taught him his system in detail. The procedure involves many months of purification, followed by the invocation of good and evil spirits to accomplish some very worldly goals, including acquisition of treasure and love, travel through the air and under water, and raising armies out of thin air. It also tells of raising the dead, transforming ones appearance, becoming invisible, and starting storms. The key to this is a set of remarkable magic squares, sigils consisting of mystical words which in most cases can be read in several directions. Of course, these diagrams are said to have no potency unless used in the appropriate ritual context by an initiate. 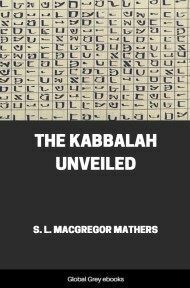 Mathers analyzed these words in an extensive set of notes and gives possible derivations from Hebrew, Greek and other languages. The full and true history of any Adept could only be written by himself, and even then, if brought before the eyes of the world at large, how many persons would lend credence to it? and even the short and incomplete statement of the notable events of our Author's life contained in the First Book, will be to most readers utterly incredible of belief. But what must strike all alike is the tremendous faith of the man himself, as witnessed by his many and dangerous journeyings for so many years through wild and savage regions and places difficult of access even in our own day with all the increased facilities of transit which we enjoy. This faith at length brought him its reward, though only at the moment when even he was becoming discouraged and sick at heart with disappointed hope. Like his great namesake, the forefather of the Hebrew race, he had not in vain left his home, his "Ur of the Chaldees," that he might at length discover that Light of Initiated Wisdom, for which his soul had cried aloud within him for so many years. This culmination of his wanderings was his meeting with Abra-Melin, the Egyptian Mage. From him he received that system of Magical instruction and practice which forms the body of the Second and Third Books of this work. In the Manuscript original this name is spelt in several different ways, I have noted this in the text wherever it occurs. 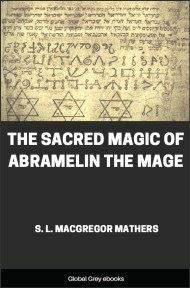 The variations are: Abra-Melin, Abramelin, Abramelim, and Abraha-Melin. From these I have selected the orthography Abra-Melin to place on the title page, and I have adhered to the same in this Introduction. As far as can be gathered from the text, the chief Place of residence of Abraham the Jew after his travels was Würzburg, or, as it was called in the Middle Ages, "Herbipolis". He appears to have married his cousin, and by her to have had two sons, the elder, named Joseph, whom he instructed in the Mysteries of the Holy Qabalah, and Lamech, the younger, to whom he bequeaths this system of Sacred Magic as a legacy, and to whom the whole of the First Book is addressed. He speaks further of three daughters, to each of whom he gave 100,000 golden florins as a dowry. He expressly states that he obtained both his wife, and a treasure of 3,000,000 golden florins, by means of some of the Magical Operations described in the Third Book. 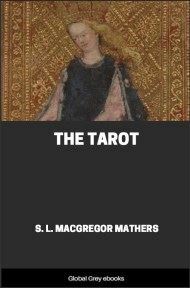 He further admits that his first inclination to Qabalistical and Magical studies was owing to certain instructions in the Secrets of the Qabalah, which he received when young from his father, Simon; so that after the death of the latter his most earnest desire was to travel in search of an Initiated Master. 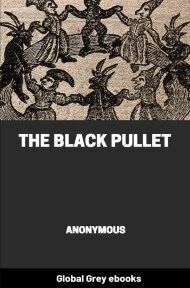 To the sincere and earnest student of Occultism this work cannot fail to be of value, whether as an encouragement to that most rare and necessary quality, unshaken faith; as an aid to his discrimination between true and false systems of Magic; or as Presenting an assemblage of directions for the production of Magical effects, which the Author of the book affirms to have tried with success. Especially valuable are the remarks of Abraham the Jew on the various Professors of the "Art which none may name" in the course of his wanderings and travels; the account of the many wonders he worked; and, above all, the careful classification of the Magical Experiments in the Third Book, together with his observations and advice thereon. Not least in interest are the many notable persons of that age for or against whom he performed marvels: The Emperor Sigismund of Germany: Count Frederic the Quarreller: the Bishop of his city (probably either John I., who began the foundation of the Würzburg University in 1403 with the authorisation of Pope Boniface IX., or else Echter von Mespelbrunn, who completed the same noble work): the Count of Warwick: Henry VI. of England: the rival Popes--John XXIII., Martin V., Gregory XII., and Benedict XIII. : the Council of Constance: the Duke of Bavaria: Duke Leopold of Saxony: the Greek Emperor, Constantine Palæologos: and probably the Archbishop Albert of Magdeburg: and also some of the Hussite Leaders--a roll of names celebrated in the history of that stirring time. 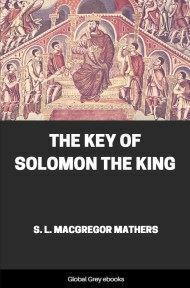 Considering the era in which our Author lived, and the nation to which he belonged, he appears to have been somewhat broad in his religious views; for not only does he insist that this Sacred system of Magic may be attained by any one, whether Jew, Christian, Mahometan, or Pagan, but he also continually warns Lamech against the error of changing the religion in which one has been brought up; and he alleges this circumstance as the reason of the occasional failures of the Magician Joseph of Paris (the only other person he mentions besides himself and Abra-Melin who was acquainted with this particular system of Magic), namely that having been brought up a Christian, he had renounced that faith and become a Jew. At first sight it does not seem clear from the Occult Point of view what particular Occult disadvantage should be attached to such a line of action. But we must remember, that in his age, the conversion to another religion invariably meant an absolute, solemn and thorough renunciation and denial of any truth in the religion previously professed by the convert. Herein would be the danger, because whatever the errors, corruption, or mistakes in any particular form of religion, all are based on and descended from the acknowledgment of Supreme Divine Powers.